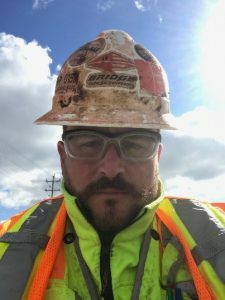 The informational classwork sessions include handouts containing slide presentations of PowerPoint shows dealing with every aspect of polyurea technology; from the chemistry to the practical application techniques best suited to spray and install polyurea systems. 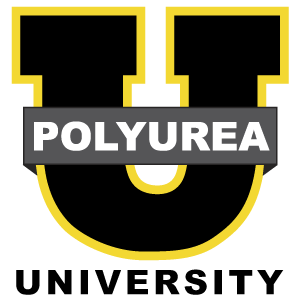 Polyurea University™ is committed to training contractors, specifiers, and owners in polyurea technology, application, surface preparation, equipment and more. We offer state of the art information to satisfy the owner and specifier that the installer has the capability to bring the great utility of polyurea into practice. 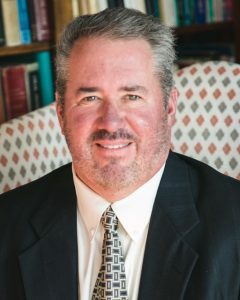 Click here for instructor’s bios. Poly U training now takes place at the VersaFlex headquarters in Kansas City!. You won’t find Polyurea Training like this anywhere else. 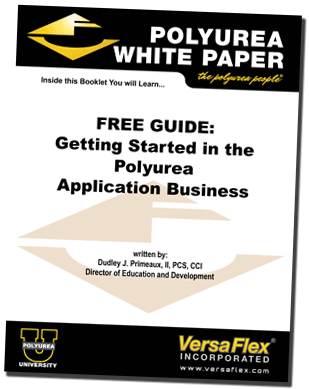 Click Here to Read More about Polyurea Training Degrees. Courses are taught by Versaflex, the foremost expert in the polyurea industry. 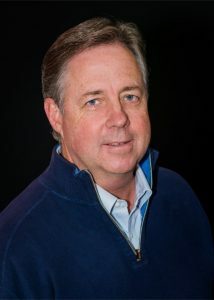 The informational classwork sessions include handouts containing slide presentations of PowerPoint shows dealing with every aspect of polyurea technology; from the chemistry to the practical application techniques best suited to spray and install polyurea systems.